Google has released 'early developer channel' versions of its Chrome browser for Mac and Linux – insisting that this is not a version that the vast majority of people should be downloading. Chrome's Mac and Linux versions are obviously eagerly awaited pieces of software, but the internet giants point out that the developer channel versions are meant for, guess what, developers. "In order to get more feedback from developers, we have early developer channel versions of Google Chrome for Mac OS X or Linux but whatever you do, please DON'T DOWNLOAD THEM! Unless of course you are a developer or take great pleasure in incomplete, unpredictable, and potentially crashing software," says the Chromium blog. To underline this, the blog points out that the Chrome versions will not be able to play YouTube videos, change privacy settings, print or set a default search provider. "Meanwhile, we'll get back to trying to get Google Chrome on these platforms stable enough for a beta release as soon as possible!" concludes the blog. 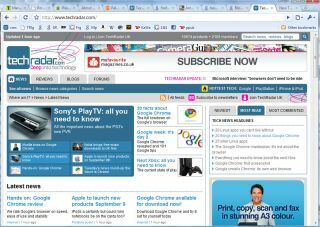 Google Chrome has been out for PCs since being released in beta in September 2008.